When it comes to finding the right anti-virus software for your computer, most consumers opt to continue with the free trial that came with it. Norton and McAfee are the most well-known anti-virus software titles that come bundled with a new PC. You get anywhere from 60 to 90 days to give these trials a shot before having to buy a full subscription to keep your computer safe. Most consumers do not realize that there are other options for virus protection. 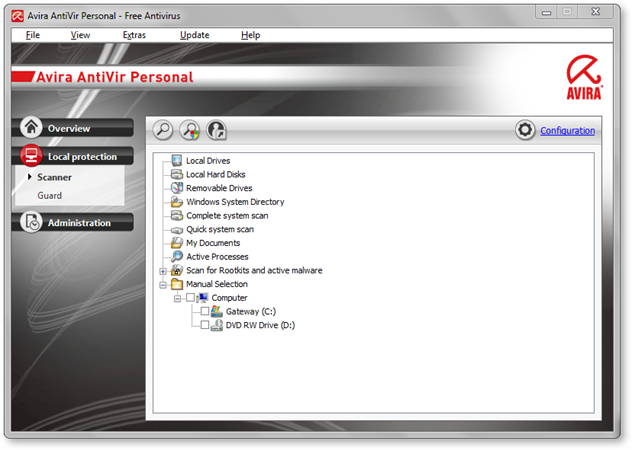 Avira AntiVir Personal is one such option and comes in a free version that provides all the basic protection a computer needs. 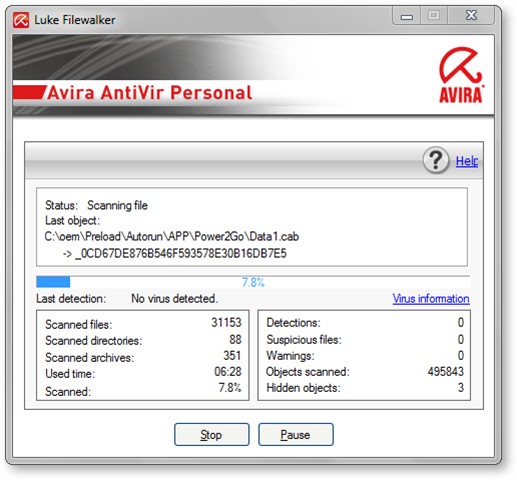 What is Avira AntiVir Personal? Avira AntiVir Personal is a free anti-virus program that scans your operating system for viruses, hidden objects and other forms of spyware. It also utilizes background checks to make sure processes have not been hijacked. If your computer becomes victim to a virus, Trojan or other attack, a pop-up grabs your attention so you can deal with the threat immediately. There are three versions of the software but the free one only provides basic protection. Most consumers do not need more than that if they are vigilant about password protection and what web sites they visit. While it may be free, Avira regularly updates this version. In fact, you may have to update the software daily to keep up with the latest threats when surfing the web. How to download Avira AntiVir Personal? If you visit Avira’s web site (www.avira.com), you can download the free version. This will redirect you to Softpedia. Softpedia will prompt you to choose a download location. For most users, you will want to click on External Mirror 1 or Mirror 2. Depending on what language you want Avira in, you can also choose from a variety of language-based versions, too. Saving this to your desktop allows for quick installation. 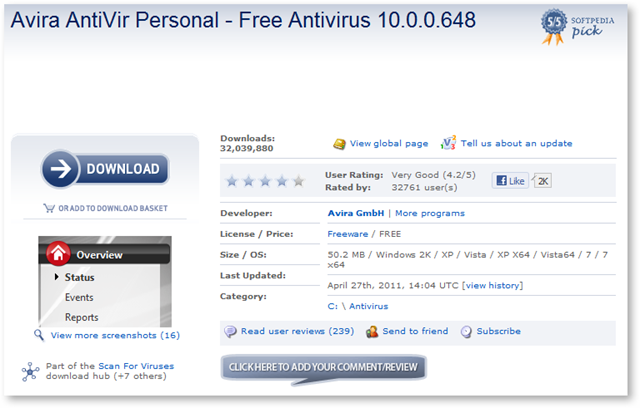 Once the download has completed, you want to install Avira AntiVir Personal. Click on the EXE or unzip the contents depending on which mirror you chose. Follow the instructions to install the software on your computer. You want to open Avira and begin using it to protect your system right away. After installing Avira AntiVir, you want to update it so you have the latest database of protection at your disposal. Since viruses and spyware can evolve daily, you want to always make sure your anti-virus software is up-to-date. There are two ways to update Avira: You can right-click the icon in the system tray and hit “Start Update” or you can open the software and choose Start Update under the “Last Update” menu. A good rule of thumb I follow is that every time I scan my system, I update Avira AntiVir first. This way I know the scan is utilizing the latest additions to its database to keep my computer safe from harm. Scanning your computer should be done on a regular basis and Avira makes that simple. The easiest way to scan your system is to do it manually. You can open Avira by right-clicking the taskbar icon and choosing Start AntiVir. Once it pops up, you click Scan System Now. Another box will pop-up, and it will begin scanning your system. Avira AntiVir starts with hidden objects and other spyware before moving on to viruses. AntiVir Personal will take anywhere from ten minutes to over an hour to scan your computer depending on how many files you are storing. If you believe a certain area of your operating system is compromised, you can localize your scan to reduce the time it takes to finish. In order to do this, you want to click on “Local Protection” on the left hand menu. Then, click on Scanner and this will bring up a list of all the areas Avira can scan on its own. Once you have chosen the area you want to scan, you will see three magnifying glasses above the menu. As long as you are logged into your computer’s Administrator account, you want to select Start Scan With the Selected Administrator Profile and this will begin to scan that area. When surfing the Internet, if you happen to visit a web site that tries to infect your computer with a virus Avira will pop up in the right hand corner of your screen and warn you. 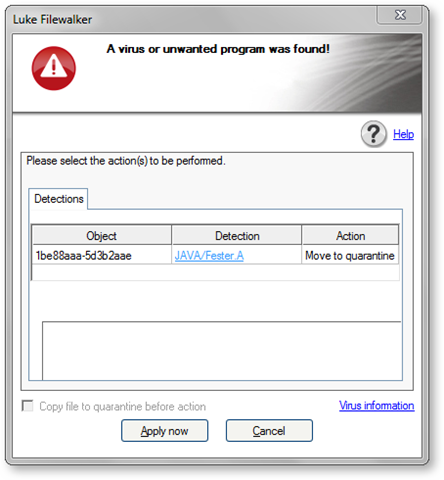 It will give you an option to begin an immediate scan of your system to quarantine and remove the virus from your system before it does any harm. When this screen pops up, you do not want to ignore it. Avira AntiVir is there to offer you protection from this type of attack. 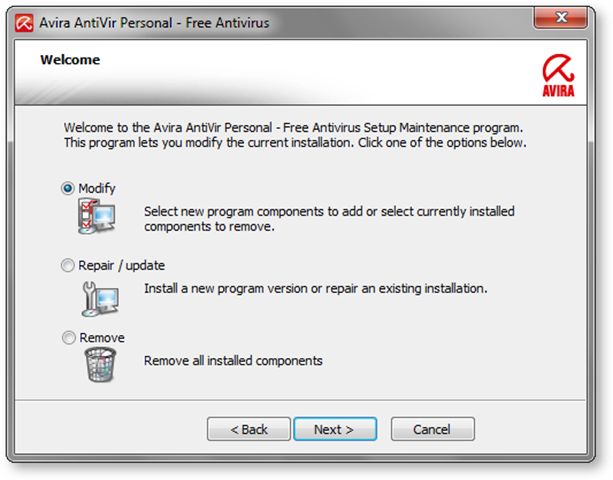 Conclusion – What do I think of Avira AntiVir Personal? After years of using Norton 360 on desktops and laptops in my home, I opted to give Avira AntiVir Personal a shot when my last subscription with Norton ran up. The primary reason for this was that over the years, Norton became bloated and took up a lot more system memory than I could afford on my computers. After doing some research on free anti-virus software, I chose to give Avira a shot. I like to consider myself a fairly safe Internet user, so the minimal protection it offers is enough for me. It is simple to use, updates often and takes up very few system resources. This allows me to do other things offline while I am running a virus scan. While Avira AntiVir might not be for everyone, it is a worthwhile alternative if you do not want to pay for a more expensive anti-virus solution. Next articleWhat is Mobile Phone Radiation and How Does It Affect You?